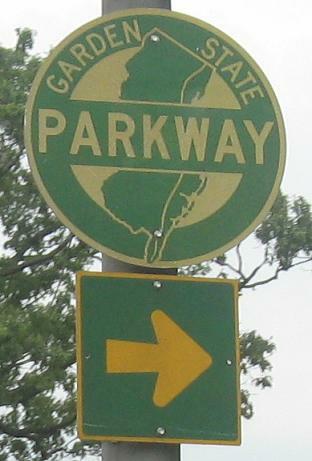 East of NJ 23, Bloomfield Ave. is the original Newark-Pompton Turnpike. In the original state highway numbering scheme (early 1920's), the entire Turnpike was given a number straight into Newark. In my opinion, Bloomfield Avenue deserves to be NJ 23 all the way down to where it meets Broad Street and NJ 21. East of the western NJ 7, Belleville Turnpike is the original CR 506, but that number has been truncated to NJ 21 (which the NJDOT Straight Line Diagrams mistakenly believe is synonymous with the Essex/Bergen/Hudson County lines) where the eastern NJ 7 picks up. 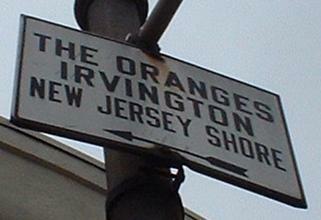 Originally the two numbers, along with a few others such as 508 and 10, multiplexed to Jersey City. CR 506 WB nears its end at NJ 159 in the background with one last old county sign in the foreground - supplanted by a smaller modern one below! Can I keep the old one? Same location, different season - August 29, 2011, the day after Hurricane Irene blew through. A three-way intersection at Fairfield Avenue and Clinton Road in West Caldwell, showing the embossed blue street signs that are being replaced by flat metal ones (similar to the replacement style of nearby towns like Livingston). Old trailblazers EB at Roseland Ave. (CR 527) and then on Lakeside Ave. NB as it ends at CR 506. EB and WB at the beginnings of NJ 23 and CR 577. Go to the NJ 23 page (link at bottom) for more. 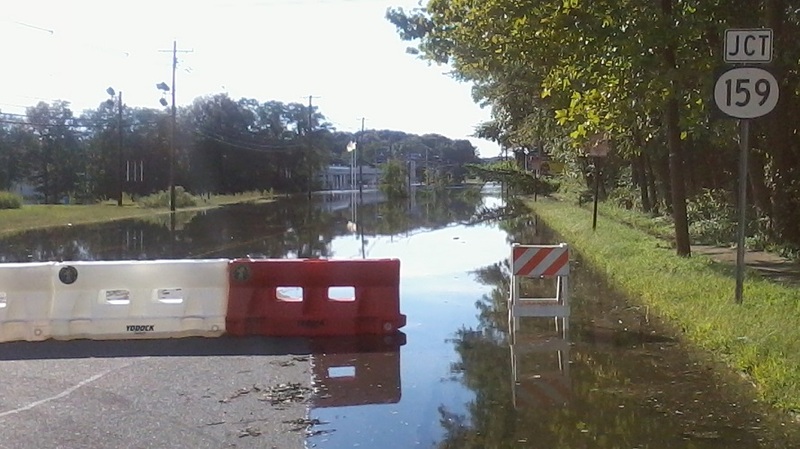 This was at NJ 23 and CR 577 (Prospect and Pompton Avenues), where NJ 23 SB traffic turns onto CR 506 EB on a piece of the old Newark-Pompton Turnpike. The Turnpike, the oldest road in the area, runs from 23 north of the intersection to Bloomfield Ave. east of here; the old routing of the Turnpike was still present in the SB-EB and NB-WB movements, which followed a short but distinct roadway that was notorious for a chronic lack of queue space that backs up onto Pompton. Now, this sign would be fine if it weren't for the fact that there were two lanes stacked up waiting to turn at this signal, and when I say stacked up I mean for several hundred feet into the left lane of NJ 23. Bloomfield Avenue only has two lanes, so the right lane has to merge with turning traffic. This causes all sorts of problems because there is a LOT of turning traffic. While the idea of allowing Prospect Ave. NB-EB traffic to avoid queuing at the intersection is reasonable, given the lack of space between the 23/577 crossing of 506 and the Turnpike signal, this isn't the way to do it. That's why it has been replaced - now there's a dual left turn straight from 23 opposing Prospect Ave., and the original Newark-Pompton Turnpike is just a single WB-NB lane. It works so amazingly better that I don't even miss the disappearance of the old sign and signal in this photo. 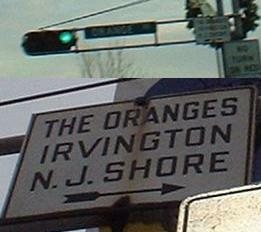 These old (1930's) Essex County guide signs aren't actually in the same place. The first one is seen EB at Orange Avenue, and the next is at the following traffic light, Valley Road, and is seen by WB traffic. Valley Rd. ends in a traffic circle one block to the south of here, and through traffic must go west a block to Orange Avenue, so the placement of this sign doesn't make sense. 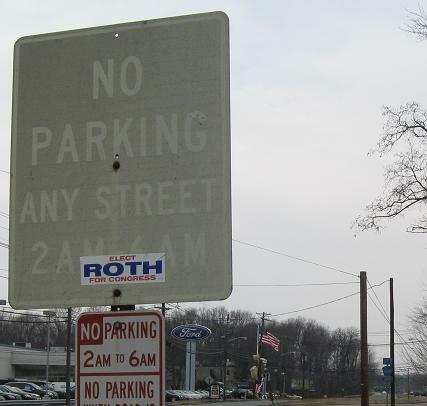 Also, the disparate wording doesn't make sense, since these signs were made at the same time, presumably. There was more on Orange Ave. NB at Bloomfield Ave. Verona and the Caldwells are easily reached, as is Bloomfield. Jersey City is a bit harder, but if you're good at following CR 506 you'll find yourself on NJ 7. The George Washington Bridge is just ludicrous - for crying out loud, NJ 7 takes you to the Holland Tunnel!! 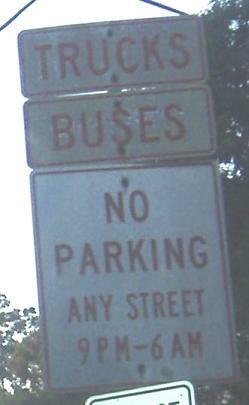 Maybe, just maybe this sign was supposed to take one to US 46 via Valley Road or Grove Street. One sign at Valley Rd. that's still around is a brief lesson on Cranetown. 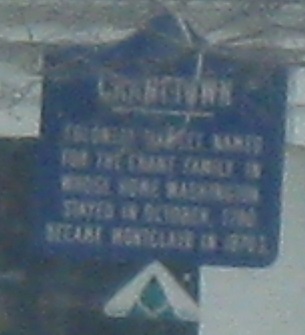 Once, there was a square, embossed CR 506 shield WB at Prospect and Pompton. It's been gone for a couple of years, and I have only seen one embossed county square since. That's sad. Courtesy Andrew Morgante (NJRoadFan) and via SPUI, this shield was supposedly in Montclair, but that town never used the dark blue or black street sign that is visible in the background (unless it's really green). Maybe it's really at Belleville Ave. in Bloomfield? 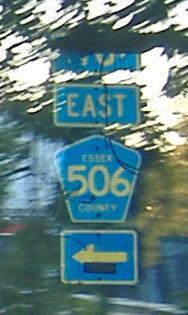 Old eastbound signs after leaving Bloomfield Avenue for Belleville Ave. (Spur CR 506 continues straight on Bloomfield). 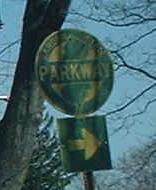 The Parkway signs are at JFK Drive. I think this is a special color scheme for JFK Drive only, so there are only a few of these yellow blades in Bloomfield. Another style of signblade, this one almost completely replaced by flat metal ones (the type but not the color seen in the previous photo). 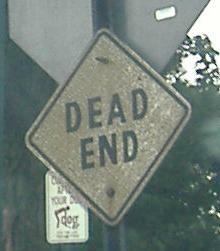 The tiny old dead end sign is on Morton St.
That be not "TO", that be actual East 506, turning left on NJ 7 toward NJ 7. No, that's really how it is. 7 technically follows Washington Ave. to the Newark border, but signage-wise, it's taken along CR 506 (Belleville Turnpike) to the Passaic River, where 7 just reappears at the county border. I appreciate signing the route for continuity, but overhead street signs give away Washington Ave.'s true nature, and signs like this show no one's really clear what's happening.